Wood Pellet Stoves and Inserts Regency Greenfire pellet stoves and inserts are an environmentally friendly way to heat your home and save money. They are quiet, efficient and cost effective home heaters that fit perfectly into your lifestyle. Traditionally styled with the high quality, durable components; Regency Greenfire pellet stoves and inserts are built to last. The Greenfire Pellet Insert is designed to fit! 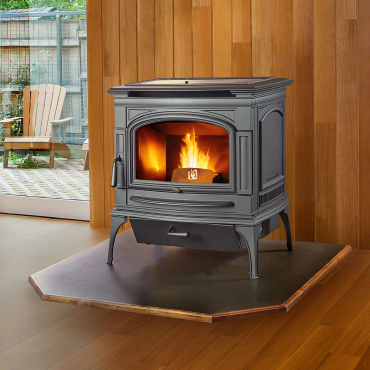 Height is of no concern; with an adjustable hopper, the GFI55 will fireplace openings as low as 19.5″.